Forest covers up to 60% of the event area. It comprises areas of pine predominance, mainly in low areas and north slopes, with minor oak sectors in low and south slopes. 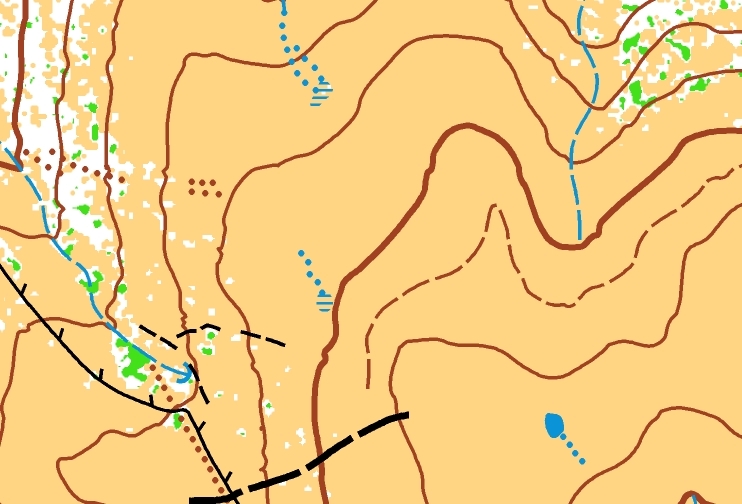 The other 40% of the event area is open terrain, mostly of short grass on relatively even and smooth ground, along with some rugged land areas. The runabillity is usually pretty good. There is an important network of dirt roads and trails. The human influence is present. We can find shepherd and livestock elements, and military elements to control the border boundaries. We think it is an excellent opportunity to enjoy this type of terrain and especially the many elements around the ski slopes that are located in the southern part of the map (La Molina and La Masella). In summary, great physical and technical challenges of such a mountainous environment, combined with wonderful terrain, will provide an unforgettable experience like no other! The scale selected is 1:25000 with a contour interval of 10 meters. The map is made from annual ortophoto and LiDAR data sources, available in this region, which provide a very detailed cartography. Additionally, field work is necessary to add detail and evaluate forest and open areas. 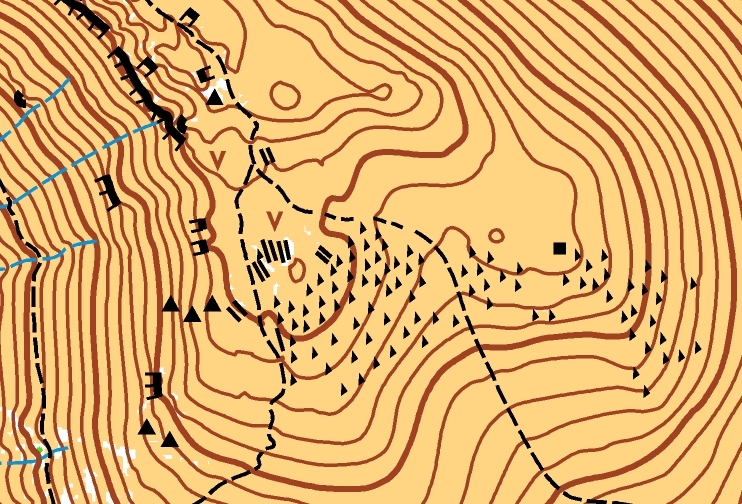 Map is designed using orienteering map design software, such as OCAD or OOMapper. 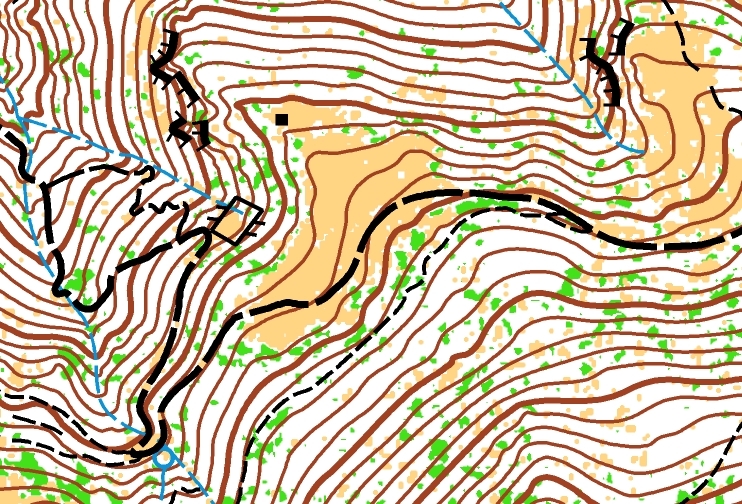 It is significantly different from typical rogaining maps: forest and open areas are printed in colors depending on their runnability as in orienteering maps; white and green colors will be used for this purpose. The final map will be based on maps used in past events. 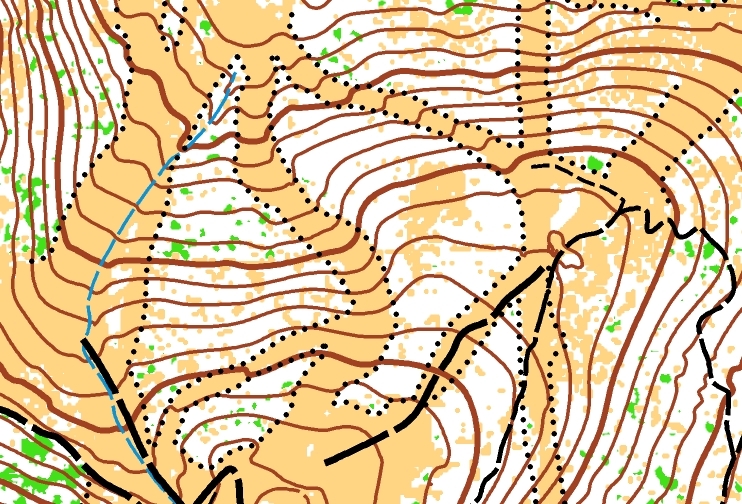 These maps were used in 6h and 12h local rogaines, with a scale of 1:20000, and covered around 50km2. They will be remapped completely in 1:25000 scale and the big new area will be added until completion of the new competition map. 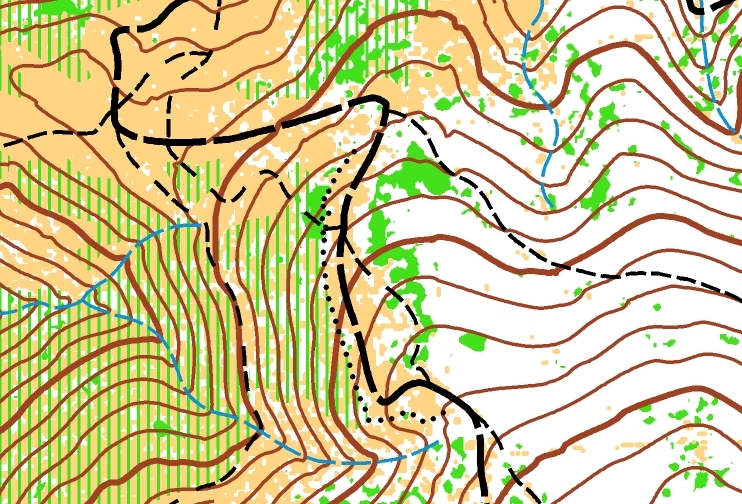 Past event maps will be published in WRC website in order to grant fair play.